City Council approve the Revised Master Plan for the Pioneer Oil Refinery. 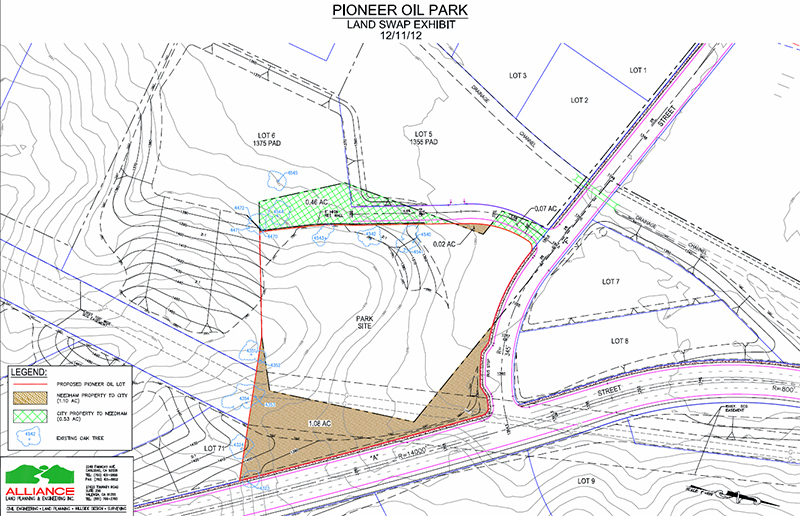 The City owns approximately 4.5 acres of land of a partially developed historic site, the former Pioneer Oil Refinery. The property is located south of Pine Street, surrounded on three sides by the proposed Gates-King Development (developer). A 110 foot-wide easement to Southern California Gas Company (Gas Company) is located along the property's eastern boundary. In July of 2011, the City Council approved the Master Plan for the Pioneer Oil Refinery (Refinery). The Master Plan was developed through a process that included participation from staff and the public at several meetings and workshops in 2010 and 2011. The original Master Plan was facilitated by RJM Design Group. In performing due diligence work as part of the development process, the developer learned that parking lot and bus turnout improvements proposed by the Master Plan for the Refinery on the Gas Company easement are not allowed. The developer is proposing a boundary adjustment that will deed Lot 18A, containing the Gas Company easement and a portion of another lot contiguous to the City's property, for inclusion into the Refinery property. This would be in exchange for a piece of the Refinery property on the west edge of the site. This land swap would allow the developer improved access to an existing lot and result in an increase to the Refinery property of approximately three-quarters of an acre. Although much of Lot 18A is encumbered by the Gas Company easement, it could serve as a landscaped buffer and backdrop to the Refinery. 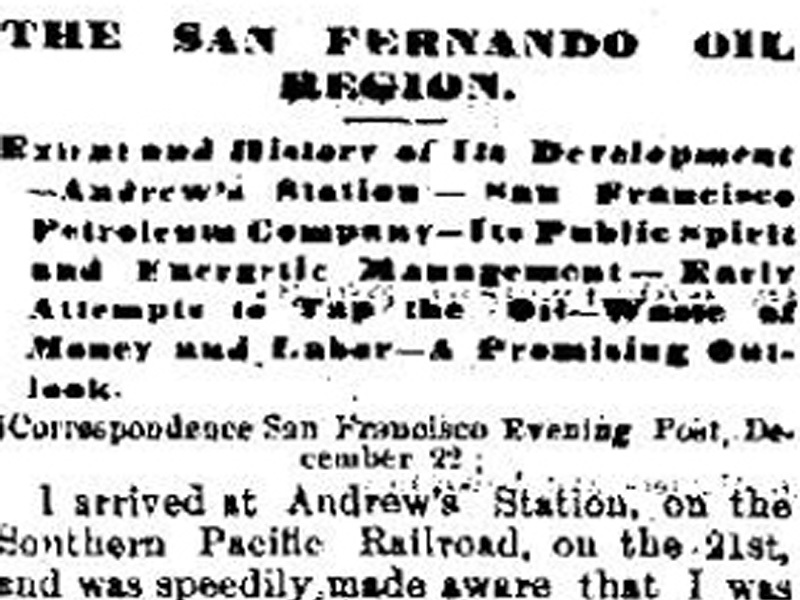 At staff's recommendation, the developer hired RJM Design Group, the park planning firm that prepared the original Master Plan for the Pioneer Oil Refinery. 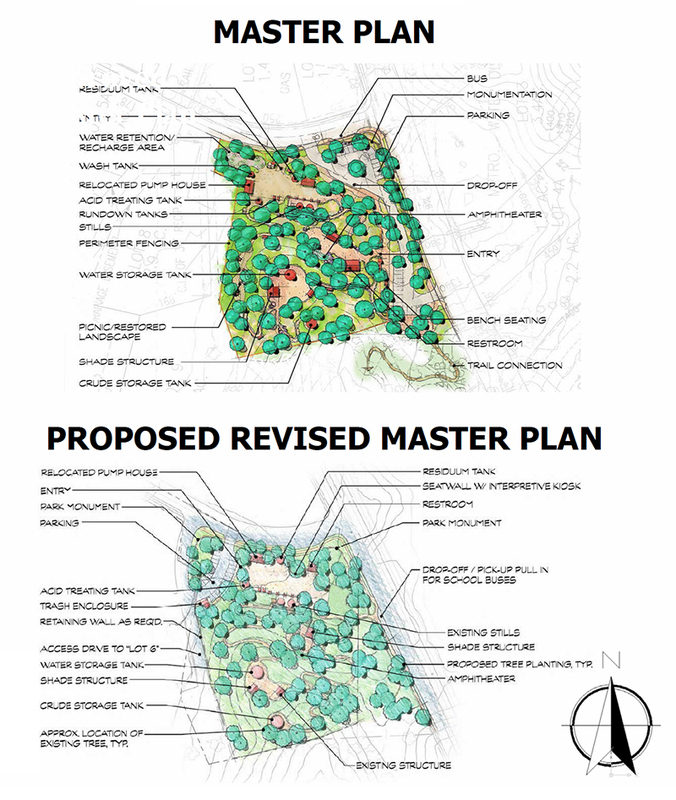 A revision to the Master Plan has been proposed to accommodate the changes. Major elements of the proposed revised Master Plan include relocation of the existing pump house ruins located on the northwest corner of the property, relocation of the parking area to the northwest corner of the property, revised pedestrian paths, and a bus turnout/drop-off area off of "A" Street. In addition to the improved buffer from "A" Street, the proposed changes to the Master Plan shift the parking and entrance to the northwest corner of the site, closer to Pine Street and nearby Heritage Junction. Members of the public, area businesses, and the Santa Clarita Valley Historical Society had the opportunity to review the proposed revisions to the Master Plan in both a focus group setting and at the April 4, 2013 meeting of the Parks, Recreation and Community Services Commission. Staff received no objections to the proposed revision at either meeting. The Parks, Recreation, and Community Services Commission unanimously supported the revised Master Plan. Other action as approved by City Council. No fiscal impact as a result of this action. SC1316: 9600 dpi jpegs from original pdfs; click through to origial pdfs.